Ashland Creek Press, 9781618220257, 232pp. The relationships among human and non-human animals goes back to the beginning of time-and the ways in which these relationships have evolved (and sometimes not) is the inspiration for this collection of contemporary short fiction, penned by writers from across the globe. This diverse collection of stories explores the ways in which we live among-and often in conflict with-our non-human counterparts. These stories feature animals from the familiar (dogs and cats) to the exotic (elands and emus), and in these stories animals are both the rescuers and the rescued. Within these pages are glimpses of the world through the eyes of a zookeeper, a shelter worker, a penguin researcher, and a neighborhood stray, among many others-all highlighting the ways in which animals and humans understand and challenge one another. 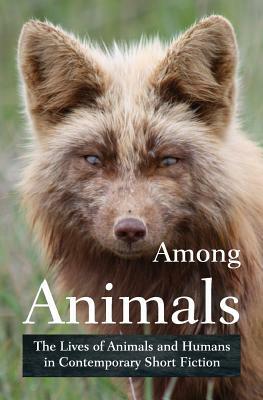 Among Animals is a dynamic collection of stories from the world's most gifted contemporary authors-those who pay close attention to the creatures with which we share our planet, and who inspire us to pay closer attention as well.